An example process chart, showing four process steps which visualizes and analyses the various systems and procedures within an organization. Easily learn how to draw the Process charts. Click here to free download Process Chart Software. 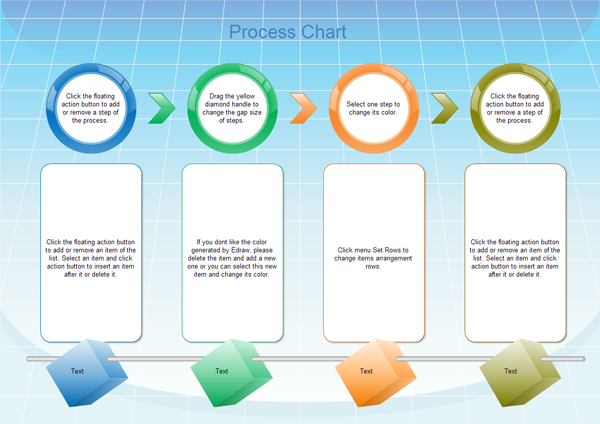 Then you can use the built-in Process chart templates to create and present your Process rapidly. 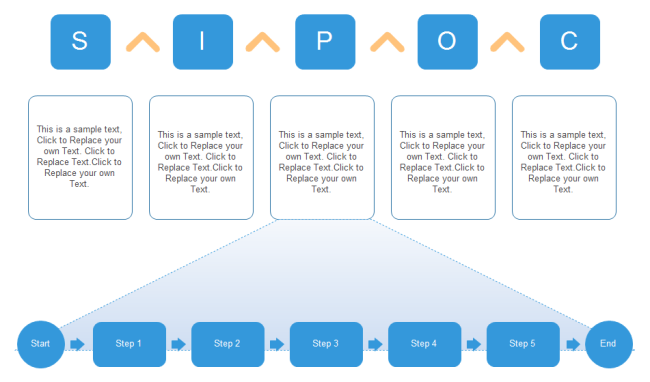 A simple SIPOC chart for business process into five simple segments from a high-level view. The term "SIPOC" descript the relationship among acronym, standing for Suppliers, Inputs, Process, Outputs, and Customers.